Are artificial preservatives really that bad? But are preservatives really such a bad thing? As something of a skeptic, I am fond of myth- and hoax-busting type things. I find them reassuring. If I had to accept that absolutely everyone swallowed stories about poisonous bottled water, free Disneyland tickets, and the Pope coming out as gay without a second thought, I really would lose all faith in humanity. But occasionally, just occasionally, a bizarre story pops up that actually turns out to be true. And so it was a few days ago, when the Hoax Slayer feed on Facebook threw up a story about the luminous, foil-packed beverage Capri-Sun. It would appear that mould (or, indeed mold – never mind fungi growing in children’s drinks, the story generated far more upset over American versus British spelling) has actually been found growing in Capri-Sun containers, in some cases in some really rather spectacular shapes and sizes. This was no hoax. It wasn’t even, unlike the story of the giant snake hanging around a mechanical digger, a twisted misrepresentation of the facts. No, mould really has been found growing in more than one Capri-Sun container. This got me thinking, and funnily enough my thoughts were less “never, ever buy Capri-Sun” but rather “why is ‘preservative free’ such a good thing”? Humans have been preserving food for a very long time. In fact, arguably since we first learned that holding bits of dead mammoth over that new-fangled fiery stuff makes it taste nicer and a bit less chewy. The earliest preservatives are, of course, those oh-so-healthy staples of salt, sugar and fat. And they’re still in use today. Salt, otherwise known as sodium chloride, found in rocks and seawater. We all like our salty foods, but how often do you stop and wonder why that delicious slice of ham is traditionally so salty? It’s not just for flavour. Salt is an excellent preservative, and humans have been using it for that reason for at least eight thousand years. It’s a drying agent, drawing moisture from cells by osmosis, and since bacteria and fungi need moisture to grow salting food keeps them at bay. Adding salt to food allowed people to travel over long distances and reduced the problem of seasonal availability. As such it was an important commodity, even being used as a form of currency. These days of course it’s far less valuable, until Britain suffers a dusting of snow that is. Salt may help to keep our food fresh, but it’s not great when it comes to keeping us healthy. In recent years too much salt has been increasingly associated with certain health problems. Salt appears to raise blood pressure, and raised blood pressure puts you at increased risk of heart disease and stroke. There is some controversy over exactly how causal this link is, but most health professionals agree that we could do with eating a bit less NaCl. Next on the list, sugar. Again, it’s been used since ancient times. Preserves aren’t called preserves for nothing. Jam (for our American cousins, jelly) wasn’t invented purely because it was delicious on toast. No, jam, marmalade and the like are a handy way of making the summer fruit glut last all through the year. Sugar works in a similar, although sweeter, way to salt: drawing water from cells by osmosis and producing an environment that’s hostile to bacteria. Of course, as we all know, too much sugar isn’t great for our waistlines and it’s really bad for our teeth. And tooth decay is far more than a cosmetic problem: in extreme cases infection can spread from the tooth to the surrounding tissues and lead to potentially fatal (really) complications such as cavernous sinus thrombosis and Ludwig’s angina. What about fat? Traditionally used as a layer on top of foods such as shrimp, chicken liver and pâté, it produces an air- and water-tight seal that makes a very effective barrier to bacteria. Very high-fat foods, such as butter and cream, aren’t bacteria-friendly because, again, they have a low water content and bacteria need water to grown and reproduce. Such foods also have fewer sugars, in particular lactose, that provide bacteria with their lunch. This is why the use-by date on the cream is longer than the one on the milk, and why you can safely store the butter out of the fridge (you can, honestly). Funnily enough, fat is probably the most controversial ‘additive’ from a health point of view. Increasingly various groups are questioning the conventional wisdom that a high intake of saturated fat leads to cardiovascular disease, and of course there are essential fatty acids that are, well, essential. We definitely need fat, at least certain kinds of fat, in our diet. But there’s no doubt it’s high in calories, and it’s clear that being overweight is bad your health, so moderation is key. 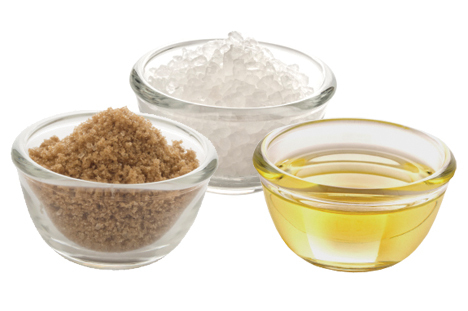 So, salt, sugar and fat are all natural preservatives which are all associated with genuine health concerns. What about artificial preservatives? Well there are quite a few, and it would take a while to list them all (I’m not going to). Some of them are definitely controversial. Nitrates and nitrites, for example, form nitrosamines when foods are cooked, and these have been linked to an increased cancer risk. But on the other hand, nitrates and nitrites prevent the growth of botulinum toxin, and if you ingest that, we’re not talking about a small increased risk, we’re talking about dead. Plus, unlike fat, sugar and salt, their addition to foods is strictly regulated, so you’re unlikely to consume dangerously high quantities unless you’re practically living off processed meat. In which case… well we’re back to salt and saturated fat again. Sulfites, such as potassium and sodium sulfite, are common food additives which are known to be problematic for certain individuals, particularly if they have asthma or aspirin sensitivity. But then, some people are allergic to peanuts and they haven’t been banned, yet. There’s no evidence that sulfites are dangerous to everyone. Sodium benzoate is another preservative that’s been linked with health problems, in particular hyperactivity in children. But, and it’s quite a big but, only in combination with certain artificial colours. And the effects observed weren’t consistent. The Food Standards Agency concluded that, if real, the observed increases in hyperactive behaviour were more likely to be linked to the colours rather than the preservative. Professor Jim Stevenson, author of the report, commented that “parents should not think that simply taking these additives out of food will prevent hyperactive disorders”. And this brings us back to soft drinks, because sodium benzoate is, or at least was, a fairly common ingredient in flavoured beverages. Although, not Capri-Sun, as we’ve already established. But Capri-Sun does contain sugar. Admittedly, it’s main purpose isn’t preservative – there’s not quite enough for that – but still it’s an ingredient, and a significant one. A quick glance at the nutritional information reveals that Capri-Sun contains 10.5 g of sugar per 100 g. That’s 21 g in one of the foil packs, or roughly 5 teaspoons. Some of this comes from the fruit juices the drink is made of, but not all. Sugar is clearly listed as an added ingredient. NHS guidelines suggest we shouldn’t be eating more than about 50 g (for women) or 70 g (for men) of sugar a day, so that one, really quite small, packet of Capri-Sun contains about half of a woman’s recommended daily sugar intake. Make no mistake, sugar is bad. It’s really bad. Quite apart from dental decay and obesity, excessive sugar exposure has been firmly linked to type 2 diabetes. And, guess what, eating less sugar cuts the risk of developing this potentially life-threatening illness. Want to look after your family’s health? You could do a lot worse than cutting back on sugar. Let’s briefly consider some other favourite sticky beverages. The Coca Cola Company is in the process of phasing sodium benzoate out of its products — including Coke, Sprite, Fanta, and Oasis — as soon as a “satisfactory alternative” is developed, and a quick look at some cans in my fridge (oh the shame) suggests they’ve already done it, in this country anyway. Sugar, not so much (diet alternatives aside, obviously). Sprite contains 6.6 g of sugar per 100 g (less than Capri-Sun, hmmm) and Coke contains 10.6 g per 100 g.
Now, I find this very interesting. 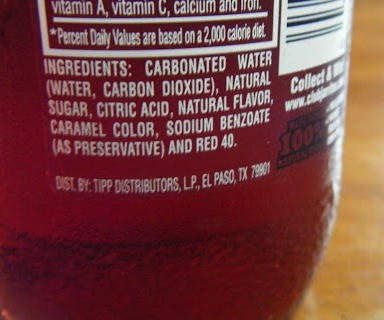 We have a small risk from sodium benzoate, when it’s combined with other additives, maybe. And suddenly food companies are desperate to get it out of their products, and to prominently label everything as “free from artificial preservatives”. It’s a real sales point. Sugar, on the other hand, is definitively bad. No argument. Over-consumption of sugar is definitely associated with a number of negative health outcomes. But we don’t seem to see quite so much enthusiasm for lowering the sugar content of foods or drinks, unless they’re being marketed as diet options. Why so keen to get rid of one but not the other? Sugar is cheap and tasty, and consumers like sweetness. Artificial preservatives, on the other hand, cost money, don’t add anything to the taste (until the product goes off, that is) and make products last longer. Preservative-free products have shorter use-by dates, and so people throw more away with the result that… they end up buying more. A cynical person might wonder who really benefits from these “free from artificial preservatives” policies…. especially when the result is freaky lumps of mould in your sugary orange drink. This entry was posted in Everyday chemistry, Food and tagged Additives, Capri-Sun, Coca Cola, Coke, diabetes, Food, free from, hyperactivity, Kraft Foods, mould, nitrates, nitrites, Sodium benzoate, Sugar, sulfates, tooth decay by katlday. Bookmark the permalink. The food industry calls this “clean labelling”. It’s a big thing: anything with a natural sounding name is ok. Hence the odd arrival of things like ‘citrus fibre’ in mayonnaise and ‘bamboo fibre’ in filled pasta. They’re clever aren’t they – so often making us think they’re providing helpful info when really it’s all just another way to make money. I think a good rule of thumb is to assume that everything on the packaging that is not required by law (e.g., ingredients and nutritional information on boxed food) is there for marketing reasons. It costs money to design package art! That doesn’t automatically mean it’s wrong, but it does mean that what’s there is carefully chosen to make them look good to their target market and should be evaluated accordingly. I don’t believe sugar and sodium are completely bad for you. Moderation is key. Having a healthy amount of sugar and sodium to your diet is good. It’s when people over-use these substances is when things can take a down fall such as getting diabetes or cancer. No I agree, but what I’m trying to say is that while there is clear evidence that sugar and sodium are DEFINITELY bad for us in large amounts, there is much less evidence that ‘other’ food additives are harmful. And yet people seem to worry a lot more about additives than they do about salt and sugar. For example, notice how many packets of salt-loaded crisps or sugar-laden sweets are labelled ‘free from artificial colours and preservatives’. 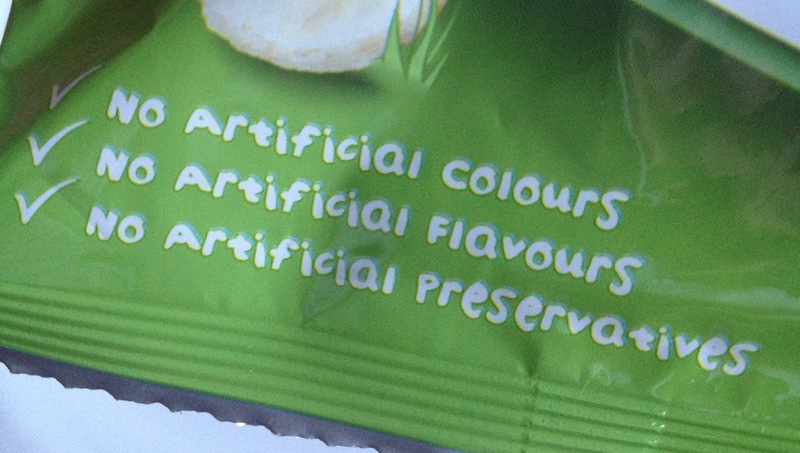 My point is that it’s really not the colours and preservatives you should be worrying about. Just so you know we have Jam in the USA too. We have Jelly no chunks of fruit in it, Jam some chunks of fruit in it, and Preserves which is almost all chunky fruit. I have a reaction to many chemical preservatives. My body has never liked fake-food for some reason–my face use to swell up into hives as a kid when I ate anything with artificial cinnamon flavoring. I don’t know if it still would since–as you expect–the experience didn’t make the flavor very favorable in my mind. As an adult, it took me a long time to realize my growing problems eating food (shortness of breath, clearing my throat, heartburn, and coughing shortly or immediately after eating) was not acid reflux. Heck, I was at a point that eating wasn’t fun anymore. It was just something I did to get it over with because I couldn’t enjoy anything. I couldn’t even eat at a public restaurant without that annoying, embarrassing throat-clearing / cough reaction. When it began evolving into shortness of breath more often, we knew we had to figure it out. It was a reaction to a chemical preservative. It was a long process to figure it out, too–as we had to find which foods were triggering the reaction. We were confused over the whole gluten thing–since we thought that sounded stupid, but we tested it anyway. While some gluten-free products made no reaction, others still had a reaction but it was more mild. Additionally, it didn’t make sense why I could eat homemade glutenous food without a reaction–but not one of the same type bought while out and about or packaged. Eventually, we figured it out. Gluten-free products gave little to no reaction because, as it turns out, gluten-free products often have fewer (and sometimes no) chemical preservatives. Homemade products from scratch also have very few to no preservatives. So, we started cutting out preservatives–including buying preservative-free foods and snacks, and eating homemade food / recipes from scratch more often than going out to restaurants. I immediately (really, immediately–it was amazing) stopped coughing, stopped getting short of breath, my acid reflux calmed WAY down and became almost non-existent, and I lost about 10 pounds. It was such a relief, and so surprising how fast it worked considering how many years I’d been struggling just to eat comfortably. After a little while on this diet, I started having more energy again. I never really realized just how bad I felt. I guess I’d gotten use to it. (—Now, I’m not sure if that is for everyone or just me, as I was apparently having an allergic reaction). I guess the artificial cinnamon reaction as a kid should have been our first indicator. My body just hates a lot of chemicals, it seems (even ones in makeup and such). But, especially here in the United States you have to be careful about your food. There are a lot of chemical ingredients here which are banned in the UK, Japan–and most other developed countries–because of the concerns over health risks (including thyroid problems, digestive problems, and risks of various cancers). That being said, it’s no wonder our bodies react to the stuff. Artificial preservatives means it’s something foreign to your body–something your body wasn’t programmed to digest and probably doesn’t know what to do with. It’s no wonder how it might create allergic reactions in many people. I’m curious how many of our “food sensitivities” that have been drastically on the rise in the USA in recent years (Irritable bowl syndrome, acid reflux, supposed gluten intolerance, etc) might actually be allergic reactions to chemicals in our diet. That’s a really interesting story. I’m glad you finally pinned it down, and didn’t just end up eating an increasingly restrictive diet. Which preservative was it, specifically, that was causing the reaction? If the author of this article eats even one gram of sugar at any point in their future after bad mouthing it here then they are a total hypocrite. Well everyone eats sugar! You can’t avoid it, unless perhaps you eat a diet of pure meat (not recommended). I’m not suggesting sugar is evil and everyone should be trying to give it up. I was just making the point that there’s a lot of unnecessary hysteria about approved additives, when naturally occurring, common ingredients are linked to well-established health concerns, but people brush those aside.